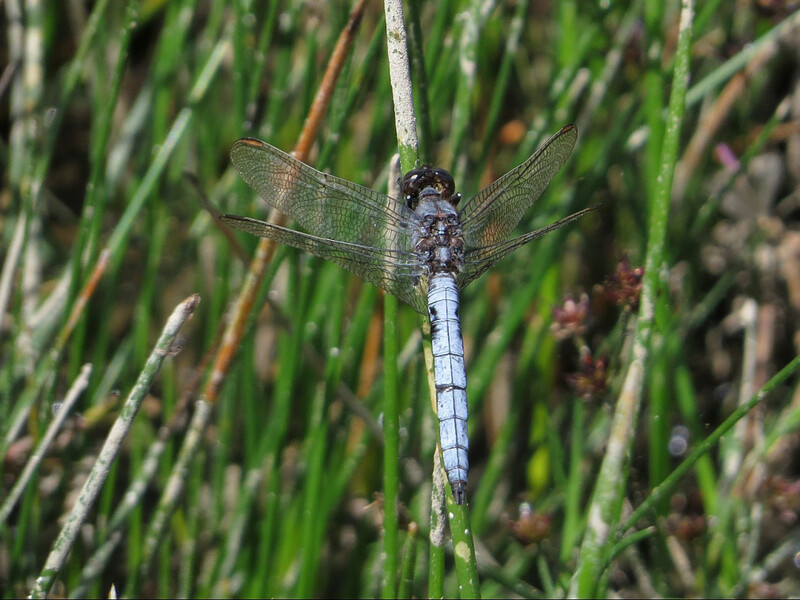 Keeled Skimmer at Titterstone Clee Hill! Amazingly this discreet rare Shropshire species has been seen at another new site! – this time Titterstone Clee Hill, recorded by Jason Kernohan along with Common Hawkers and Azure, Blue-tailed, Common Blue and Emerald Damselflies. The recorded male is pictured left clearly showing the diagnostic ochre coloured pterostigma. It would appear that Keeled Skimmer is having an interesting year so definitely keep an eye out for these unobtrusive fliers in acidic upland flush areas. Keeled Skimmer at Wildmoor Pool!